After two sols of analyzing our intended drill site in the Pettegrove Point member, we began plans to drill the target "Stoer." Stoer has had Mastcam images, MAHLI images, APXS, and ChemCam observations acquired over the past two sols. The two previous drill attempts in this geologic member have not been able to get to successful depth since the rocks have been more resistant than what we saw earlier in the mission. Pettegrove Point is an important area to get a drill sample from because it is categorized as lower Vera Rubin Ridge. Curiosity has previously visited this area of Pettegrove Point on Sol 2097. On that sol we had a target "Caithness" which is close to our intended drill hole, Stoer. This is the last drill attempt in Pettegrove Point. 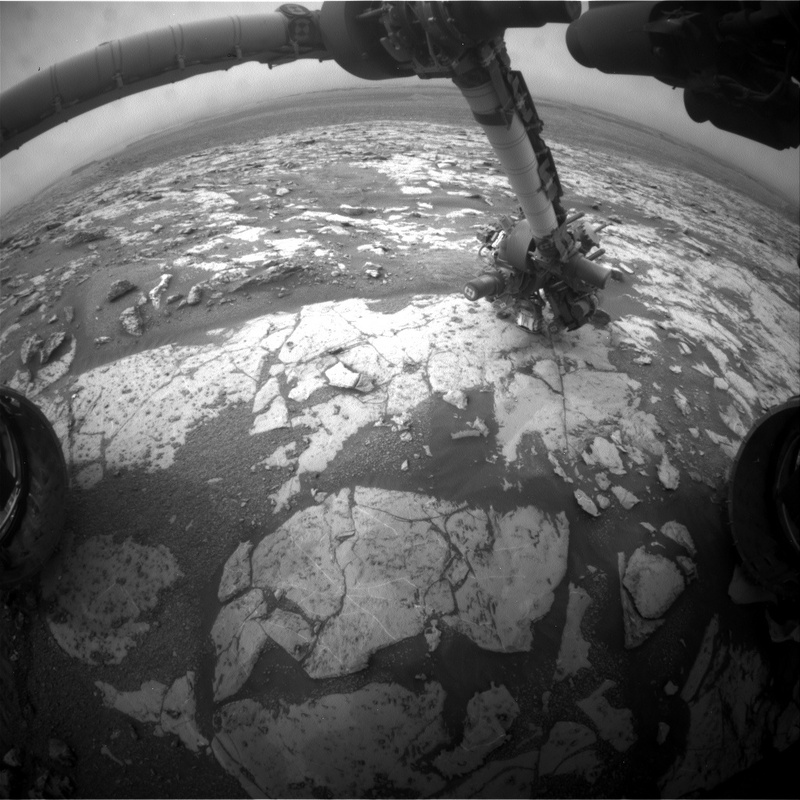 Besides drilling Stoer, we have four other targets planned for these two sols. We have planned for one ChemCam target named "Glen Brittle," and three Mastcam targets named "Belhelvie," "Camas Mor," and "Sandray." Today I was ChemCam science downlink lead. This role processes data from previous sols and makes preliminary reports on ChemCam targets. Today was a slow day because data is currently backlogged. The downlink data is slowly trickling in, but uplink operations have not been slowed down. We still have enough information from the rover's current location to send commands to the rover. Hopefully we can get all of the backlogged data soon and get caught up again.